PENSACOLA, FLA - When the weather gets tough, the tough weather stays outside --- behind new Storm-Lite windows from Hy-Lite&. Available now as an expansion to the company's popular Bath-Lite& Series, the new impact-resistant Storm-Lite silkscreened glass window brings beauty, privacy and security to an elegant window at an affordable price. "This durable window features a one-inch insulated unit with an annealed, laminated exterior glass to resist impact from flying debris," says Roger Murphy, president of Hy-Lite, a U.S. Block Windows Company. "There's also tempered glass on the interior of each unit for enhanced safety, privacy and decorative style." 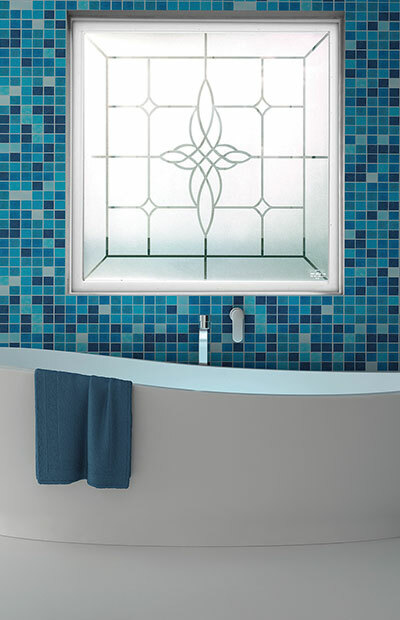 "We created the Bath-Lite Series to give builders, remodelers and homeowners a cost-effective option for a privacy window that is more imaginative than simple frosted glass or rain glass," says Murphy. "These windows provide elegance in the home without breaking the budget. They have all the terrific features of decorative glass windows while boasting a value-added price tag."